The delivery of sustainable and OH&S compliant works is now a high priority. 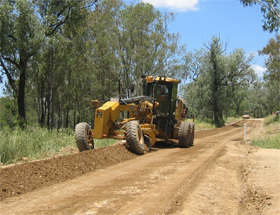 Councils are expected to constantly up-grade procedures for construction and maintenance of roads and general earth works throughout the local community at all times taking into account the environmental and social impact of their works as well as attempting to minimise the fiscal bottom line. Ground improvement through sub-grade strengthening and wear course up-grading is a vital part of this constant improvement process. 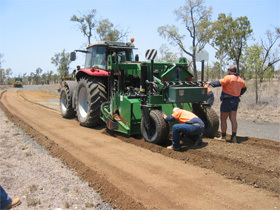 SEALS is a specialist in this type of work through unique stabilisation techniques and ‘outside the square’ solutions to ground improvement with all our methods designed to consider and improve the triple bottom line. Our commitment of constantly working toward a sustainable planet with ‘best practice technologies’ has led us to develop systems and work methods toward this end and as a Specialist Sub-Contractor are perfectly placed to work with Councils and Shires to assist in improving the sustainability of general works.